Quaternary or spirocyclic 3-substituted-3-hydroxy-2-oxindole is considered a privileged scaffold. In other words, it is a molecular core present on several compounds with a wide spectrum of biological activities. Among its precursors, activated ketones (isatin nucleus) can be used as interesting starting points to Morita–Baylis–Hillman adducts derivatives, a class of compounds with good cytotoxic potential. 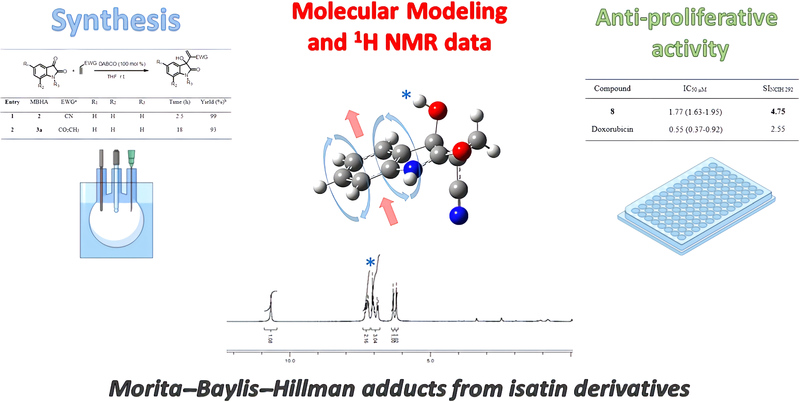 In this paper, we present the synthesis, anti-proliferative activity against lung cancer cell line and a theoretical conformational study of 21 of Morita–Baylis–Hillman adducts from isatin derivatives, by DFT quantum chemical calculations, followed by a SAR and QSAR analysis. 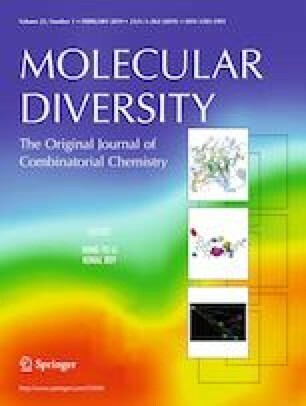 Besides, an efficient synthetic protocol and good biological activity profile were highlighted interesting observations about 1H NMR experimental spectra, molecular modeling results and crystallographic data available. The online version of this article ( https://doi.org/10.1007/s11030-019-09950-7) contains supplementary material, which is available to authorized users. The authors are grateful to the Foundation of Support to the Science and Technology of the State of Pernambuco—FACEPE, National Council for Scientific and Technological Development––CNPQ, Coordination of Improvement of Higher Level Personnel—CAPES, Federal University of San Francisco Valley—UNIVASF, for financial support, National High-performance Processing Center of Federal University of Ceará—CENAPAD-UFC for some computational facilities as Gaussian 09 W package, Laboratory of Chromatography and Mass Spectrometry (LaCEM), Institute of Chemistry, Federal University of Goiás (Prof. Dr. Boniek Gontijo Vaz) for mass spectrometry analyses.